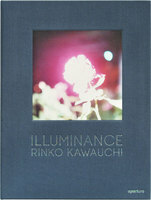 Rinko Kawauchi (born in Shiga, Japan, 1972) studied graphic design and photography at Seian Junior College of Art and Design. She won the 27th Ihei Kimura Photography Award, 2002; and the International Center of Photography Infinity Award in Art, 2009, and was shortlisted for the 2012 Deutsche Borse prize. Solo exhibitions include: Fondation Cartier, Paris; Photographers’ Gallery, London; Galleria Carla Sozzani, Milan; Hasselblad Center, Göteborg, Sweden; and Museum of Modern Art, São Paulo. Kawauchi lives in Tokyo.